Say no more to getting stuck at toll gates when you utilise the Touch n’ Go e-wallet. Other than reloading your card, there are many other ways you can use the e-wallet such as paying for movie tickets, transferring money, earning rewards and many more! 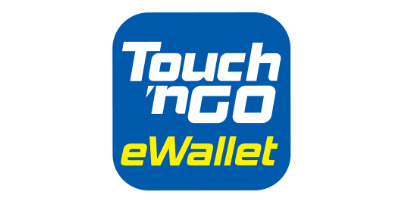 The Touch ‘n Go e-wallet app is free for download via the Apple App Store or Google Play Store. Why you should choose Touch ‘n Go e-wallet? Are you worried about not having enough balance on your Touch ‘n Go? Thanks to the auto-reload feature on your Touch ‘n Go e-wallet app, you can simply utilise the balance to pay for your tolls. You can also reload your e-wallet without having to pay a fee. This can not only save you money, but a ton of hassle. Another benefit of using the Touch ‘n Go e-wallet are the rebates that you can enjoy. For every 10 toll trips, you’ll be able to get up to 20% toll rebates. You can also earn 5 toll trips for every friend you refer to via a personal referral code. Here are the steps to share and earn toll rebates. Open your Touch ‘n Go app. At the promotions section, tap on “Earn Now”. A referral code will be then generated. Tap on the “Share Now” button and send the generated referral code to your friends. With PayDirect, users are able to add up to three physical Touch ‘n Go cards to the e-wallet. These physical cards can then be used to pay for your tolls whether if its on the “Touch ‘n Go” or Smart Tag lanes. You can always open the app to check the status of your cards anytime and anywhere. Do note that the PayDirect feature can only be used on the DUKE, SMART, and LKSA highways. How to redeem Touch n’ Go e-wallet coupons on NST? On top of the list of benefits, rewards, and features from the e-wallet, you can save even more money with exclusive Touch ‘n Go vouchers from NST. Follow the steps below to redeem the promos. Browse through the list of promos on the Touch ‘n Go coupon page on NST. Once you’ve selected your preferred discount, click on ‘Get This Deal’. A pop-up will appear where you can copy the promo code. If there is no promo code, simply select ‘Go to Store’ to enjoy the discount.